Another great volume of Ethiopiques! 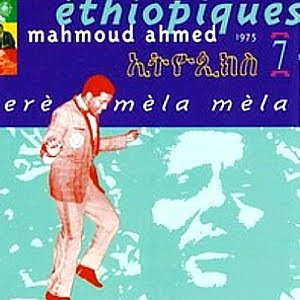 Volume 7 of Ethiopiques series is another expanded re-issue of an LP by Mahmoud Ahmed originally released in 1975. Though there seems to be an abundance of songs by Ahmed from 1975 on volumes 1 and 3, we can't find any overlap with the songs on this album. The songs are the same sort of fusion of American soul and jazz with shuffling rhythms of Ethiopian music. Features "Belomi Benna" and "Bemen Sebeb Letlash". Hey JFS. thanks i look forward to hearing these Ethiopiques!